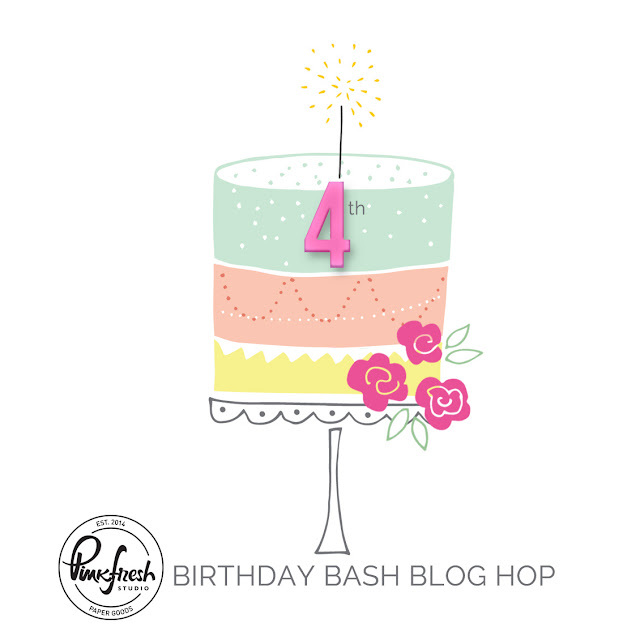 Tsuruta Designs: Pinkfresh Studio 4th Birthday Bash Blog Hop! Hello and Welcome to the Pinkfresh Studio 4th Birthday Bash Blog Hop! You should have arrived here from Amanda's Blog. If not, you'll want to start at the beginning of the hop which is the Pinkfresh Studio blog! Each stop during the hop will have a winner so please leave comments along the way! Commenting closes on Monday, April 9th at 6 am pacific. Make sure and leave a comment here before you leave for a chance to win a $40 gift certificate to the Pinkfresh Store! There is one at every stop of the blog!! The winners with be post on the Pinkfresh Blog on Monday, April 9th at 12:30 pm pacific. 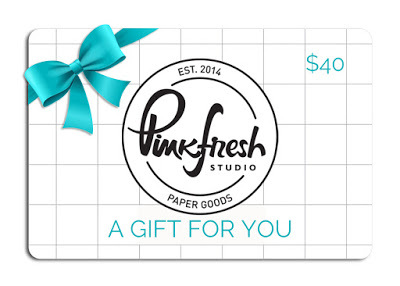 The Grand Prize is a $100 Gift Certificate to the Pinkfresh Studio Store! Instagram 24 Hour Stories Giveaway: Pinkfresh Studio will give one lucky winner a $100 Gift Card to the Pinkfresh Store. All you have to do is repost the Birthday Bash Story. A winner will be selected within 24 hours! I couldn't wait to design a card for today's special hop! Let's start at the bottom and work our way up, there is so much Pinkfresh goodness to chat about! I layered a panel from the Let Your Heart Decide - Quirk + Be You - Brave. The peachy coral combo has me so excited for SPRING! The bouquet is from the Let Your Heart Decide Layered Sticker pack. Have you seen the Let your Heart Decide Leatherette Stickers?! That's the black and white striped border and the aqua floral sticker. These have such incredible texture!!!!! I made a frame from my cardstock stash and adhered a vellum panel behind it. I heat embossed the You make life sparkle from the Magical Unicorn set in black. I added the Happy Birthday from the Pause for applause set. Love this card! The beautiful soft colors whisper springtime and warm breezes. This is lovely! Thank you for sharing! I love the colors on your card! It’s beautiful! I found your card very soft and beautiful. You have done a wonderful job. Thanks for sharing. Super sweet card, love the frame! 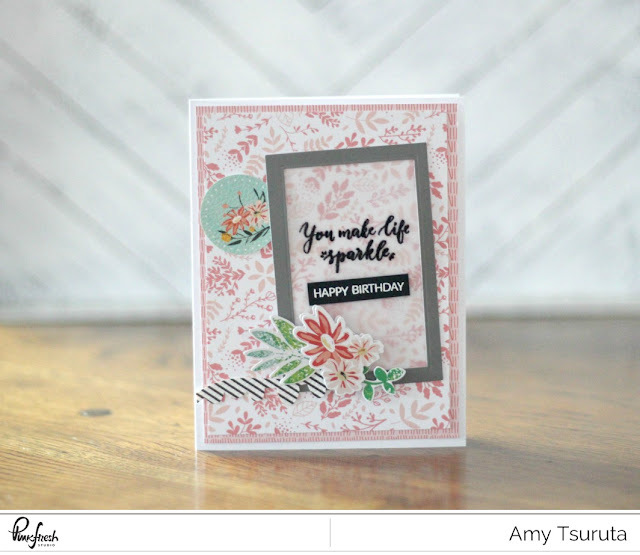 Pretty card, Amy! I love the way you framed the sentiment. What a great idea to frame the sentiment! What a great card! Your framing on your card was a terrific idea. Thanks for sharing and have a wonderful week. Love it especially the frame with vellum. The colors are so beautiful! Beautiful card. I like the framed sentiment too! Love this card with so many flowers. And the Magical unicorn stamp set... Must have. Your card is sweet and I love the look of embossed vellum on a card. I've just recently started using that technique and although I'm not very good at it, I keep trying. Thanks for sharing and a chance to win. Your card is awesome ! I love the creations with velum. Beautiful, unique card. I love the vellum frame. These colors make me happy! Loving your sweet card! Qué hermosa tarjeta le ha quedado muchas gracias por compartirla es increíble !! Loved the pastel, soft colors of the card. And that vellum behind the frame is very nice. Such a sweet card ❤. This is beautiful and so feminine! Great job! Beautiful card. It screams "Spring". I love florals so I love your card! And the color palette draws the eye right to it! Nicely done! I love anything with vellum!this is so gorgeous! Love the soft colors and delicate look! The sentiment is a perfect choice! I am in love with this card. It is my favorite so far. The flowers, colors and layout flow so well together. Beautiful card! Lovely composition, so feminine. What a beautiful card! I really like the vellum with the embossed sentiment. Well done! It’s beautiful your version of the Pinkfresh Studio sketch! Beautiful colour Palette and great card. I love your pretty card. I love the sketches and hope to play along! Beautiful card! I am playing with the challenge too and so appreciate the inspiration! love your layering and the sentiment placement! Lovely layout, pretty flowers, and I love the vellum! I like how you came up with that layout from the layout challenge. All I could see was circles at the bottom. Such a pretty card. I love the soft floral background. Lovely card - such soft and pretty colors. As always, you’ve made a lovely creation !! Very pretty with the soft colors. Love your design with the stripes and pretty florals! Very beautiful floral card! The vellum frame is a pretty touch. Great take on the challenge! Your card is so pretty with these spring colors! I love your card, Amy! The soft colors are so pretty and I love the lay out of the card!! This is such a sweet feminine card. Thanks for sharing. What a pretty card. You had me at Leatherette Stickers! I really like the vellum panel as well. Definitely something I need to try. Pretty card, Ashley! Lovely composition, and it's so nice to see Spring colors again! Oh Amy! I'm so sorry! You know that I know your name. Please forgive me for my silly typo! This is such a pretty and springy card. It makes me happy! Gorgeous card. Love the colors, so springy. Lovely card. Love the way you framed the sentiment (and it's such a lovely sentiment too). Leatherette stickers? I'm intrigued. I love your card and the use of vellum with the frame. Thanks for sharing!!! Lovely card! Beautiful background! Love the vellum layer! Love all the details! Wonderful card! Your work is so detailed and lovely. I’m in awe of your talent! Such a pretty card, Amy! Thank you for sharing! Such an elegant card. I love it!! Such a beautiful card! I love the vellum frame over the card that holds the sentiment. Lovely! Thanks for sharing. This is SO pretty! I love all the little details and the colors look amazing! Amy, only you can orchestrate all these different elements into such a fabulous beauty as this!! You see it and then put it all together!! I am in awe of your abilities and design! What a stunner yet again!! Love every layer of this! Beautiful card! I’m also loving the pink coral! So happy and pretty! Gorgeous card! Love the soft colors! Thank you for sharing!! love the choice of words you used. I definitely feel like that is how birthdays should make one feel like no matter their age. 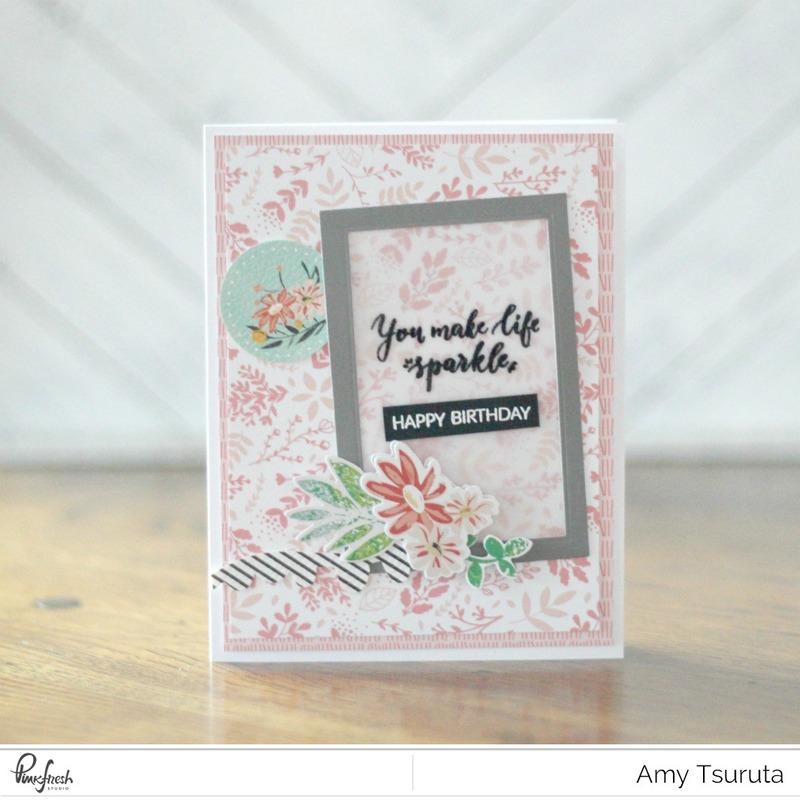 Amy, your card is beautiful! You can't go wrong with Pinkfresh and your own amazing talent! I like the vellum frame! LOVE, LOVE the project shared today! Love the soft colors and the frame for effect along with the vellum! Beautiful -- just feels like spring! Beautiful card. This collection is so pretty. This is a gorgeous card, Amy! The patterned papers are lovely and the flower adorned vellum frame is beautiful! It's perfect for Spring. 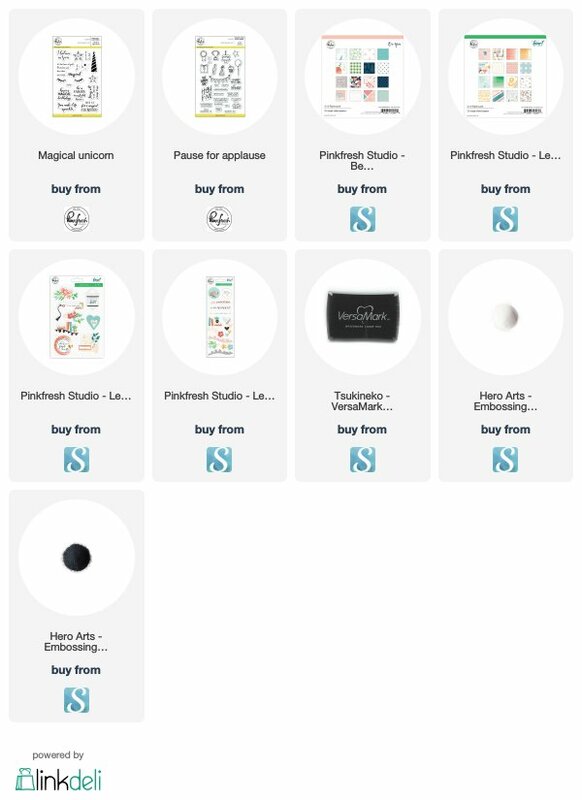 you ever have that moment that when you are going to click on a link to go to a page and in your head, you tell yourself that you KNOW this is going to be good, be inspiring?? That is the feeling I get every. single. time when I click to go your blog. Awesome! I love the vellum in the window, it just adds a little something extra without taking away from any of the other elements! Beautiful card...and love the vellum window; great idea. Beautiful colors and I really love the flowers!! Such a pretty card! Love the papers and the ephemera! What lovely patterned paper that is. And I really like how you used the stickers on top. Sometimes I have a hard time making stickers and patterned papers not clash, even when they're from the same set, so I love seeing people who can do it well. Thanks so much for sharing! OH I must use vellum more like you do! Thank you for the vellum inspiration; I often forget how versatile it is. Beautiful! Gorgeous card!! 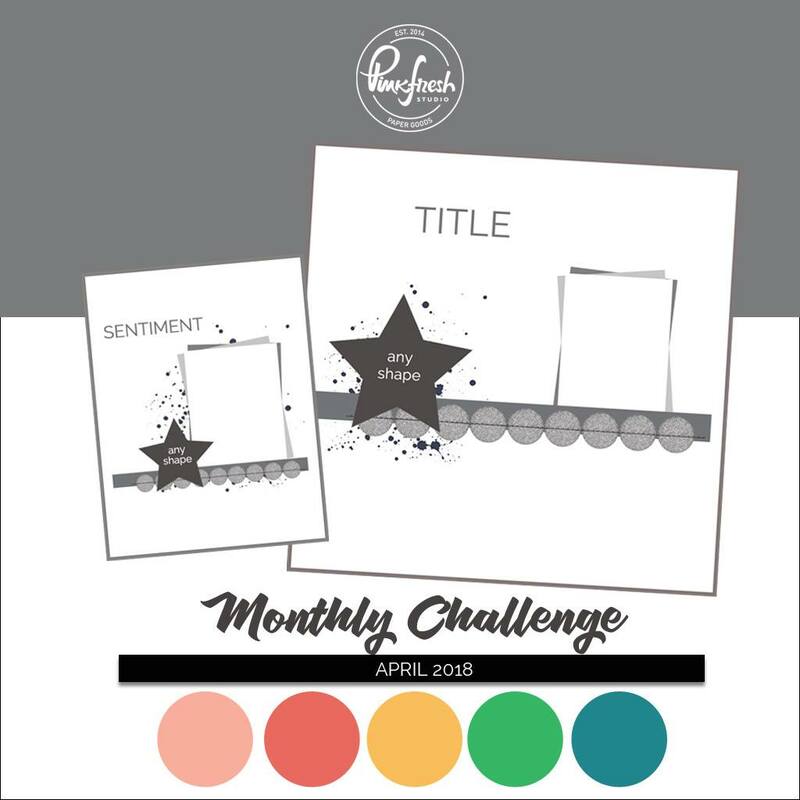 Love your take on the challenge!! I love the sentiment in the box window! It’s just a very dainty card and I would love receiving a handmade card like this! :)! WOW Amy, this is stunning! I love the vellum frame with the sentiment and the floral 'spray' at the bottom of it. Really makes an impact. Well done! So pretty. I like the framed sentiment. Love the colours that you’ve chosen to use in your lovely card. Thanks for sharing. Love the theme. The animals are so cute. Oh, I like that idea of framing up with vellum --- love it! Fabulous card ! Thanks for sharing ! Love this! It looks like a mini letter board! Very beautiful!! l love the softness of it and the vellum! !